By Lydia Ko's high standards, 2017 has not been a great year. After compiling 12 wins, including two majors, since turning pro in 2014, she has been shut out this season—although she does have nine top-10s—skidding from No. 1 in the world to 8th. She also changed clubs and fired yet another caddie on the heels of having dispatched her coach, David Leadbetter, at the end of last year. 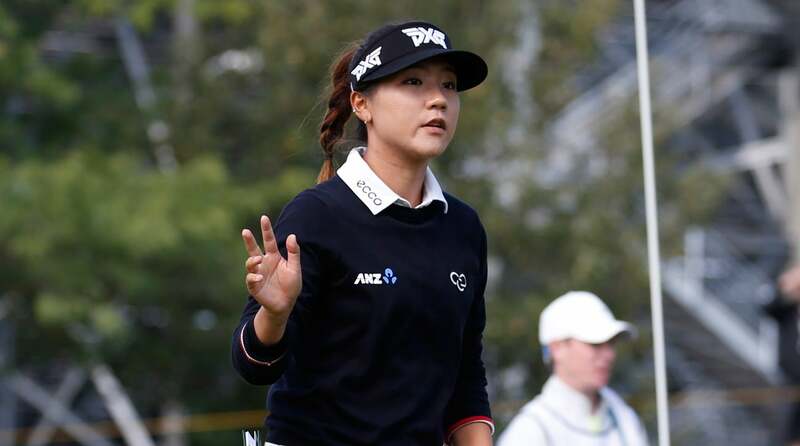 Still, Ko, who is 20, remains one of the game's biggest draws and is the primary reason why this week's McKayson New Zealand Women's Open will become the first LPGA-sanctioned tournament to be contested in her homeland. "Lydia's our star," says tournament promoter and Christchurch native Michael Goldstein. "In the world of New Zealand sports, she's right at the top." Although the New Zealand Women's Open has been a co-sanctioned event on the Ladies European Tour since 2010, the LPGA had yet to officially travel to New Zealand. But thanks to Ko, who held the No. 1 World Ranking for 85 consecutive weeks between October 2015 and June 2017, Goldstein recognized a chance to capitalize on Ko's cachet. "I reached out to the LPGA and said, Look, we've got a superstar here. Do you think we can bring an event down to New Zealand?" Goldstein says. "They were fantastic from Day 1. New Zealand is obviously not the biggest market in the world for major professional sports, but they saw the opportunity with Lydia." A much-needed financial boost from Korean apparel company McKayson, a partner of Ko's that became the tournament's title sponsor, sealed the deal, which extends through 2019. "It all happened pretty quickly," Goldstein says. "It took 18 months from my vision to signing the contract." The exposure through international broadcast rights (Golf Channel will show taped coverage of each round) and the extended LPGA platform is expected to reach at least 150 countries. The 132-player field, which includes eight major winners, will take on Windross Farm, a nouveau links-style course that opened last September. Built on a formerly dead-flat potato farm in a south Auckland suburb, the layout was designed by two Kiwis: Brett Thomson with former PGA Tour player Phil Tataurangi. Their team imported massive amounts of dirt to shape the layout, which includes a number of shared fairways, thoughtful bunkering, impressive green complexes and water in play on the final four holes. "If you look at the courses they play on the LPGA tour, they can be monotonous," Tataurangi says. "I think Windross Farm will stand out. I think some girls won't like it, but I think a lot will. It will test their ball flight more than some other courses do." Ko, who lives in Orlando, rarely gets back to New Zealand these days, but she has seen the course on previous visits. "I had her out to the course during construction and again earlier this year before she played in Australia," Tataurangi says. "She's incredibly polite any way, but I think genuinely she has been quite complimentary of the fact that's it's a different course. … From a New Zealand standpoint, it would be great if she could win." New Zealanders love their golf. With 400 courses, the country has the second-most layouts per capita of any nation (behind only Scotland), and 12 percent of the population plays, Goldstein says. "So roughly half a million people out of 4.5 million total. It's driven by an underlying egalitarian nature of golf here. Leaving aside the handful of high-end clubs and courses, golf is really accessible." "Before those, it was tough to cut through in the competitive golf travel market around the world," Tataurangi says. The new courses, he says, shine a light on "the wonderful golf land we do have." Even for a country that can claim an Open Championship winner (Bob Charles, 1963), a U.S. Open winner (Michael Campbell, 2005), and a U.S. Amateur winner (Danny Lee, 2008), it's Ko who may just cast the brightest spotlight on New Zealand. "This is a huge step for the game in our country," Goldstein says. "It wouldn't have happened without Lydia."